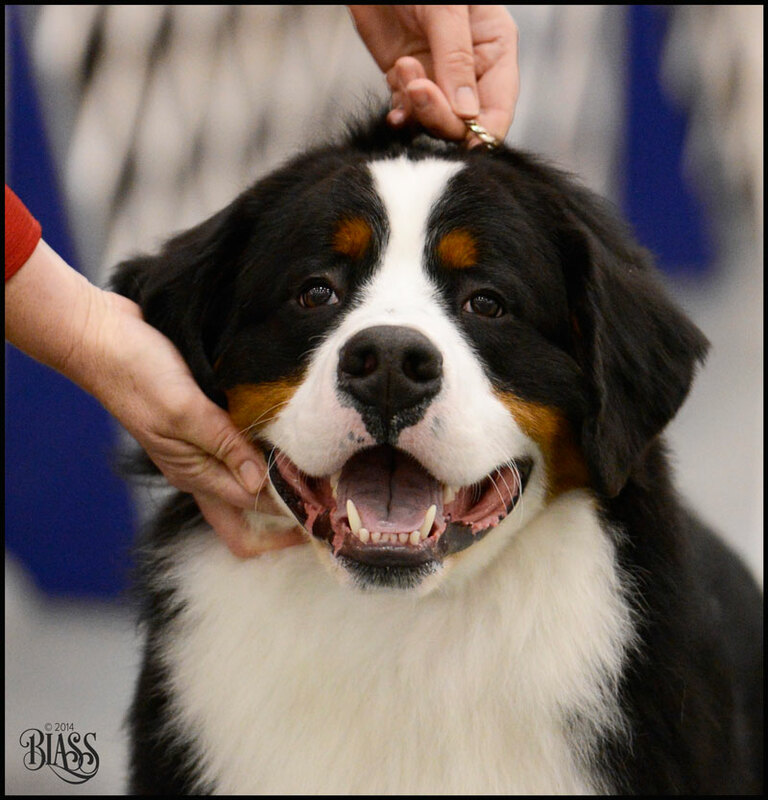 So where do you stand to get great photos at a dog show? 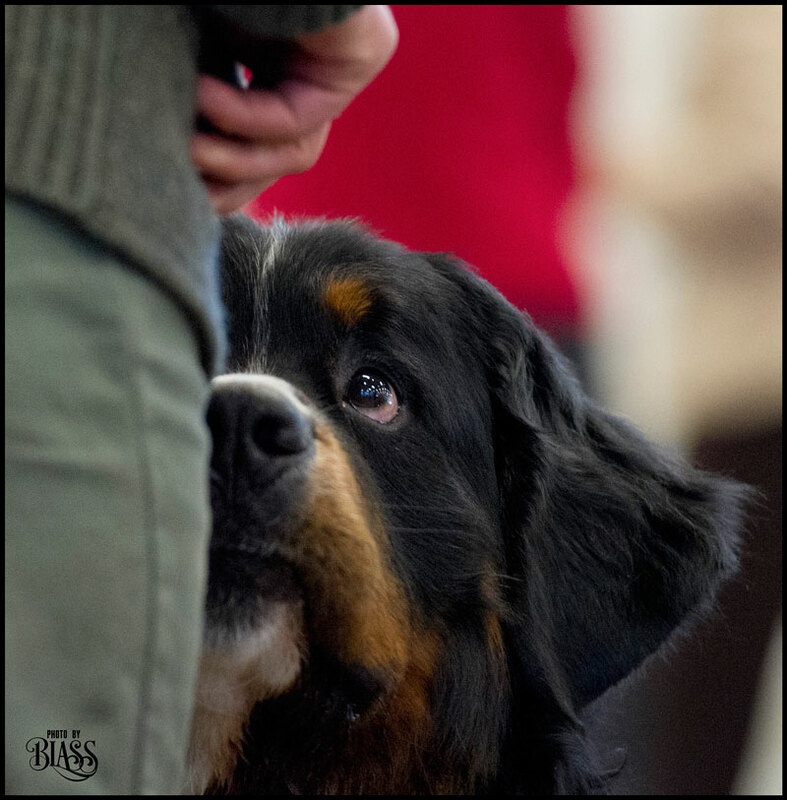 So you want to make some nice pictures at a dog show, but you’re not sure how. So, here are a few things you can do to improve YOUR pictures. But first, turn off your flash! There are several spots around the ring to make good pictures of a dog’s movement. I like to move around, but I do have favorite locations that I know produce pictures. One is shooting the dog on the diagonal down and back. Stand ringside across from the diagonal. A corner can work well (see photo below). You’ll be able to make a good picture of the side movement of the dog from there. 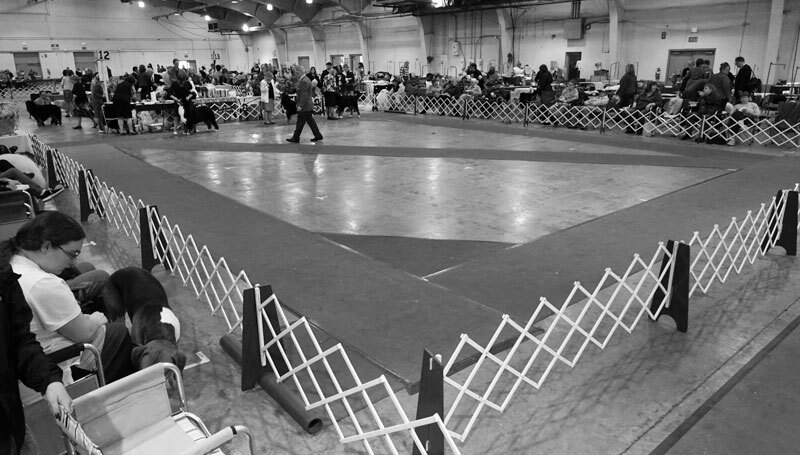 You can also see movement from a corner as the dog and handler move around the ring. 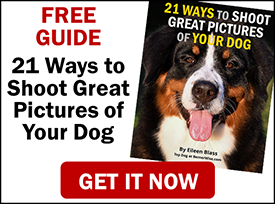 Shooting from the corner like this will give you a great photo of dogs running the diagonal. It’s important to find the right moment in the dog’s trot to capture. You’re looking for both a front leg and the opposite hind leg in the air during the trot. The front leg is reaching forward and the hind leg is driving the dog. “Reach and drive.” You either have to predict this moment or shoot a burst of photos to find one you like. Here are examples of the right moment and the wrong moment captured. 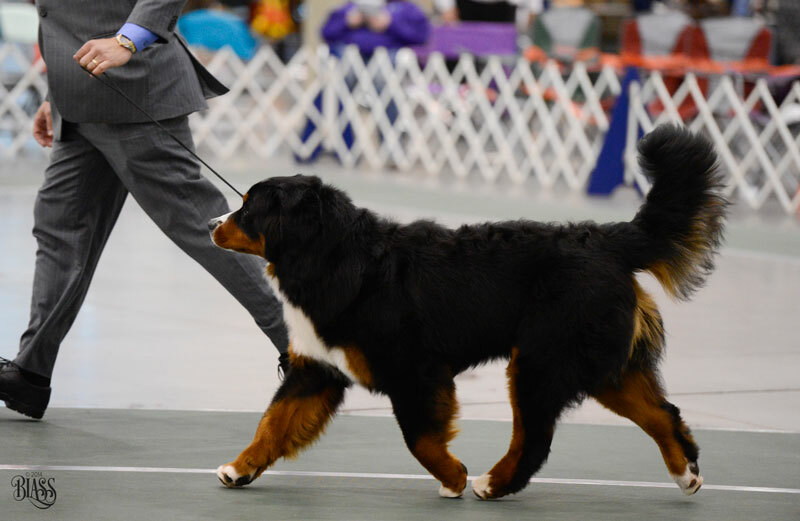 This shot doesn’t show the Bernese Mountain Dog’s stride. This photo shows the reach and drive of the dog. One of the great opportunities for tight shots is when the handlers stack the dogs for examination. You want to be near that line up, but you want to be positioned so you can see their faces straight on. This can give you a nice picture of the dog’s face or front. But you have to be quick and make that picture before the judge examines the dog. You’re looking for a “clean” picture, meaning there should be a minimum of clutter. 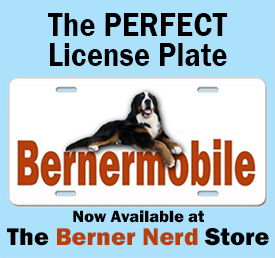 Tight face photos like this are great, particularly on Berners. Notice there’s very little clutter in the background. Another example of a tight face that shows the intensity of the dog. Keep an eye out for distracting backgrounds. It’s hard to find a clean background at a show. When you are looking for a place to stand, look for what will be in the background of your pictures. You don’t want to get home and see a lady in a neon green dress in the background of EVERY one of your photos. BUT sometimes a distracting background can work in your favor. Here is an example of using a very distracting background as a graphic element in a picture. A great example of a distracting background becoming a pleasing graphic element of the photo. You can make stacking pictures from several locations. Here are two examples. 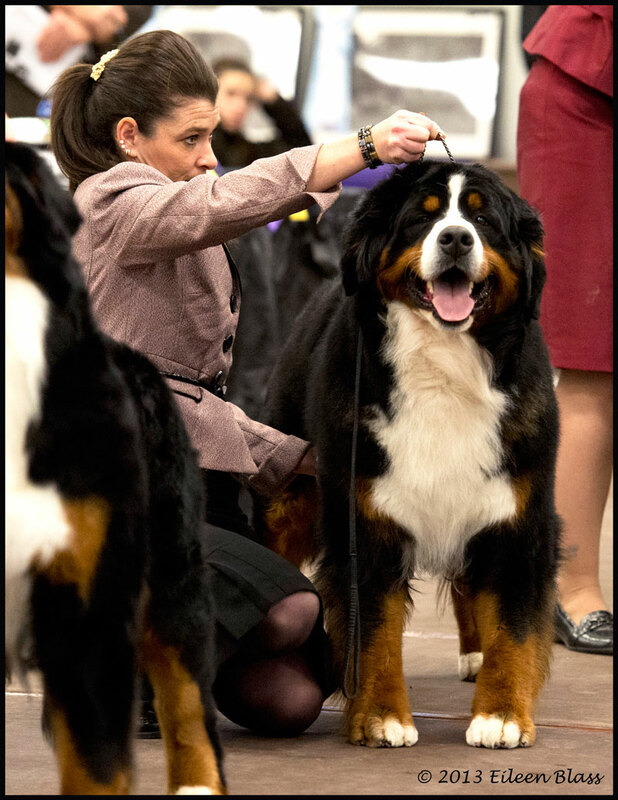 I like to see stacking pictures where the handler is actively watching the judge. It shows intensity and engagement. 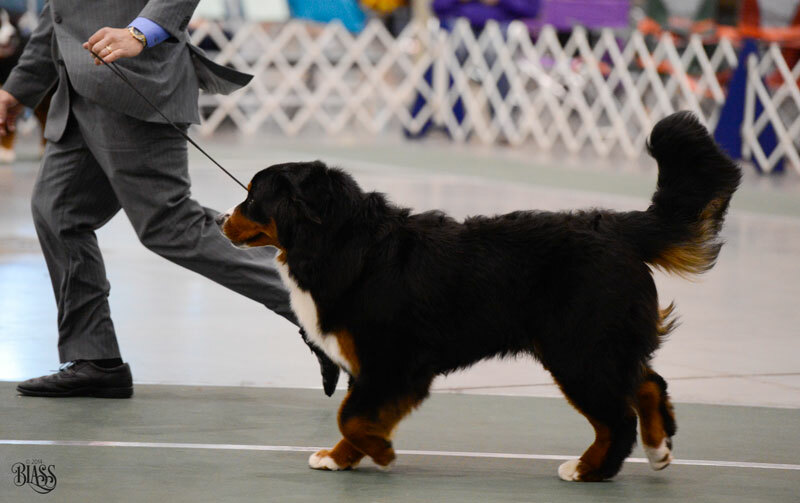 Watch for the handler’s look towards the judge. It adds engagement to the photo. 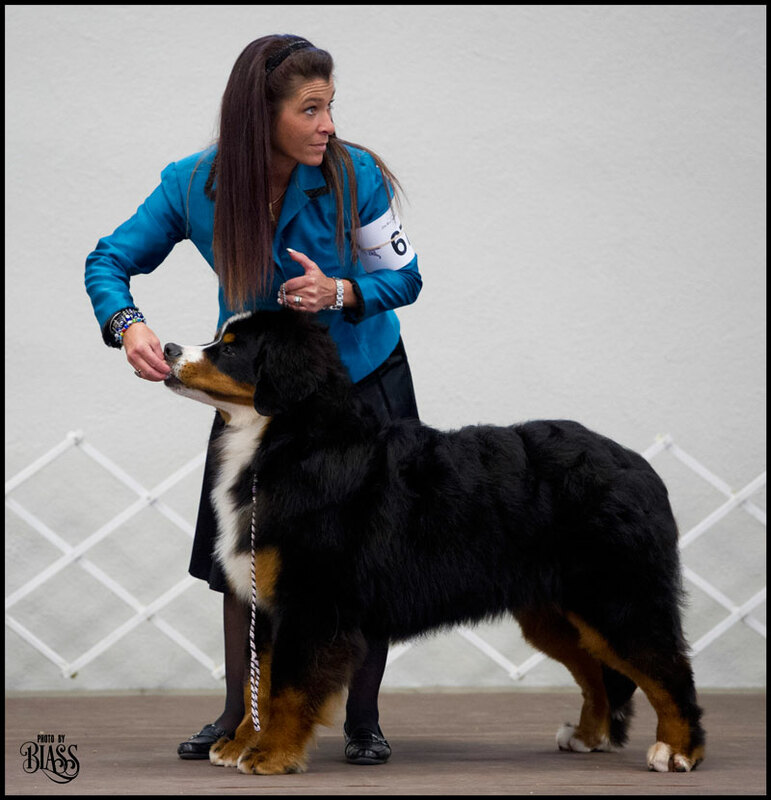 From this angle you get a great view of the stacked dog and the handler. 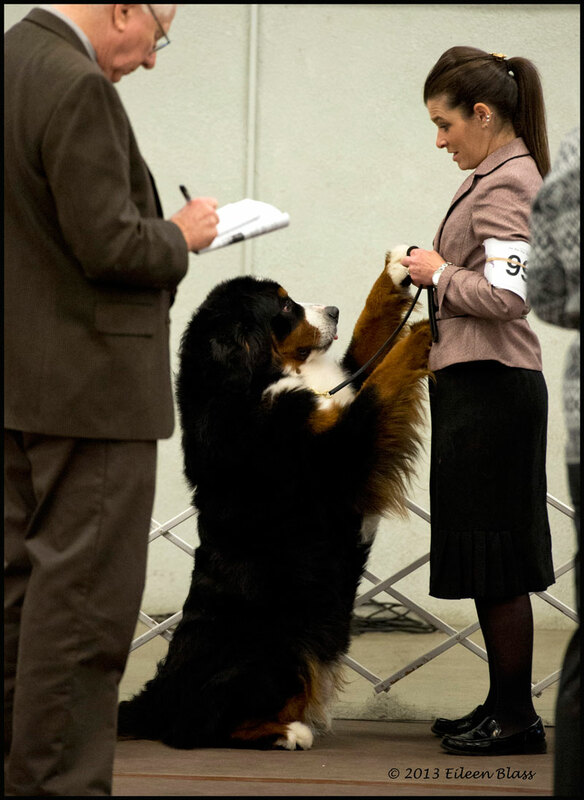 My favorite dog show pictures are the candid, unguarded moments that just happen. They don’t need a lot of explanation. They happen inside the ring and outside the ring. You will only capture them if the camera is in your hands, not in your backpack 😉 Be watching for them and be ready for them. 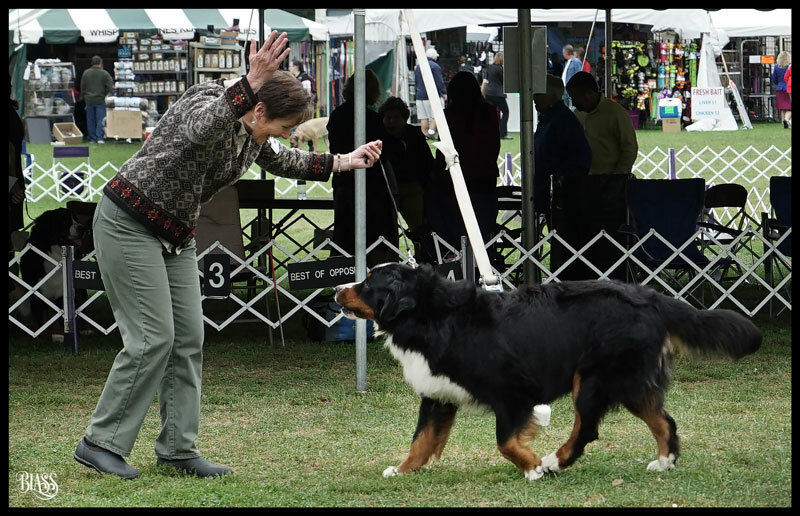 Great shot of spectators reacting with delight when Jackson (handled by Kim Groves) ran to greet them at 2014 BMDCA Top 20 Gala. A moment like this (Isack and Malissa Ruchak) would be missed if you didn’t have your camera to your eye. 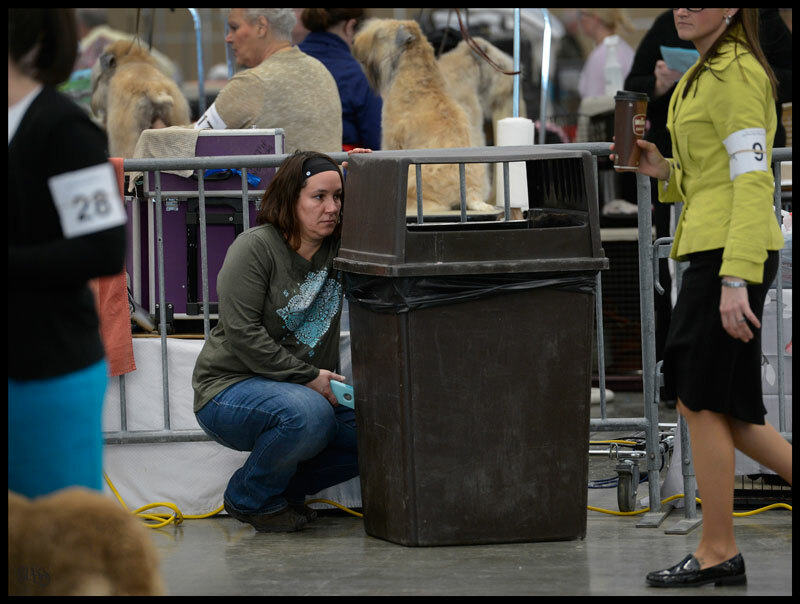 Diane Pachella Nelson hides behind a trash can so her dog Bentley won’t see her. See, all the action isn’t in the ring. After a win, watch the reaction. So, be prepared. 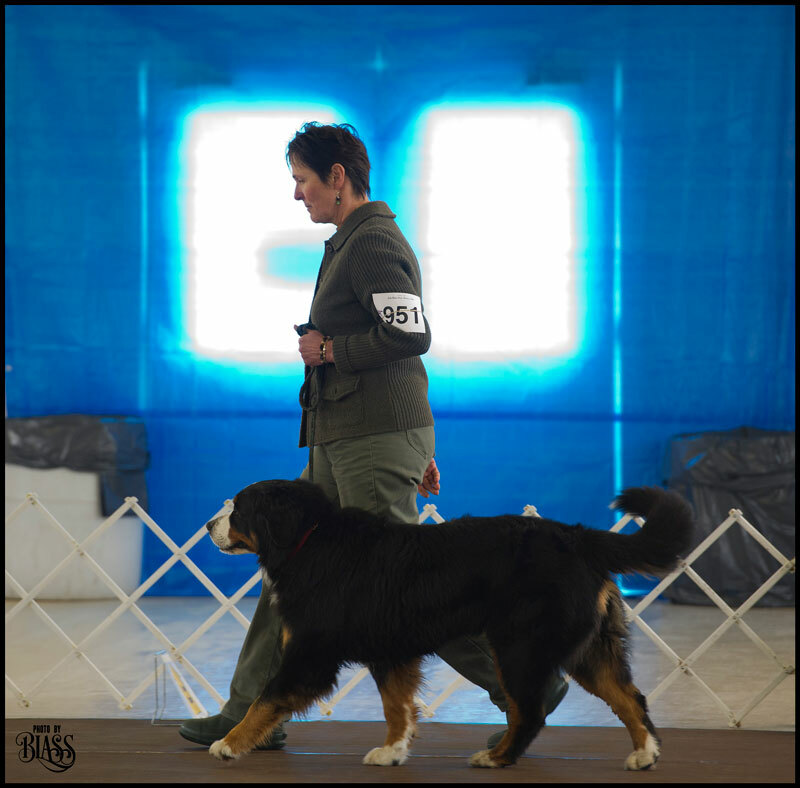 This is Angela Evans and Loui in the veteran’s ring. In fact, time out for a little public service announcement. 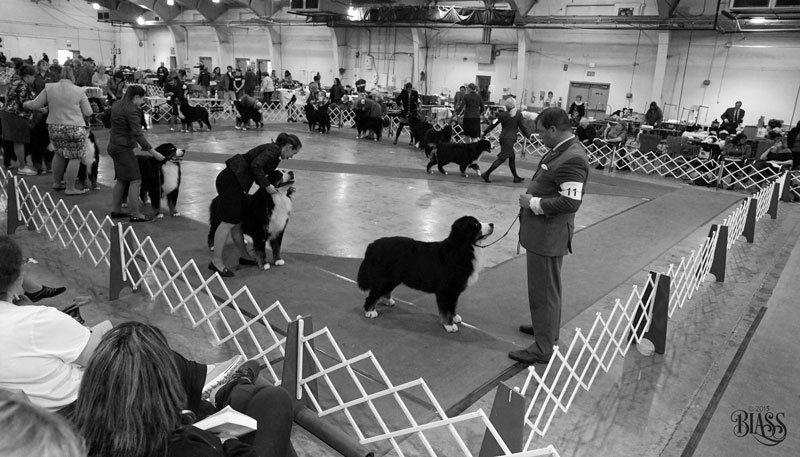 Dog show photographers work hard. Their work is tedious and time consuming. So, do what you can to support them by purchasing their pictures and avoid the temptation to sneak a snap of that official win picture. That’s their bread and butter. Good article as usual!Keep it going! Great article, wonderful helpful hints. Loved all the pictures, got a laugh of Diane behind the trash can. Taking pictures at the next dog show will be much more fun for me. Thanks for another great bunch of helpful hints. Wonderful photos as always Eileen! Thanks for the tips!!! Another great article! Just loved the photos. Learn something from each of these blogs. Keep them coming, Eileen! Thank you Barb. I really appreciate your comment.